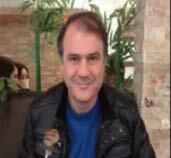 The kidnapping on Friday morning of two Turkish airline pilots in Lebanon is upsetting on a number of levels, beyond the obvious tragedy of their capture in the first place. Captain Murat Akpinar and first officer Murat Agca were taken at gunpoint from the van in which the entire eight person flight crew was being transported from Rafiq Harari International Airport to the crew hotel. Just the pilots were taken - none of the four cabin attendants -and early reports do not say whether there was security in the van at the time. Many airlines use location-based intelligence to determine the level of risk at each destination into which it flies. As far as the safety of flight crew on the ground is concerned, "Our security team works with local authorities and they together take the necessary precautions," a spokeswoman for Turkish told me in an email. She declined to describe the protection these particular workers received on arrival at Harari. Some airlines provide armed protection in global hot spots or regions of the world where kidnapping-for-profit is practiced. What is additionally troublesome is the fact that this happened to Turkish, an airline that takes great pride in its remarkable growth over the past few years as I reported for the International Herald Tribune last year. With Europe's largest network and flights to 237 destinations, Turkish is fueling economic growth and raising the country's profile as a destination for business and tourism. The same can be said for the airlines of the United Arab Emirates; Etihad and Emirates and - to as lesser extent - Qatar Airways. In the case of Turkish, Syria is said to be miffed about Turkey's support for Syrian rebels and in this case a group calling itself Zuwwar al-Imam Rida claims to have taken the airmen to exchange for Lebanese citizens who were captured by Syrian rebels in 2012. The pilots have been caught in the crossfire of Syria's conflict, seized as if they were representatives of their nation. The turmoil in Syria now involves Iraq, Lebanon, Iran, Saudi Arabia, Russia and Turkey. If airline workers are seen by some to be worth grabbing as bargaining chips, what airline might be next? Thirteen carriers fly into Beirut, including the ones from the Middle East mentioned above along with Royal Jordanian, Saudia and Royal Air Maroc. Aeroflot and European carriers, Air France, British Airways, Lufthansa and Alitalia also fly into Lebanon. None have indicated they will cancel flights. Catherine Walker, a spokeswoman for Turkish told me late Friday that the airline is continuing to operate its flights into Beiruit. "All necessary precautions have been taken to ensure that a similar incident is not repeated," she said. Likewise, Etihad indicated it was comfortable with the level of security it provided for its workers. "We take our duty of care to ensure the safety of our crew, very seriously and have appropriate security measures in place worldwide at all times," Anne Tullis, an airline spokeswoman told me. 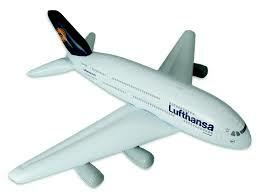 Nils Haupt, of Lufthansa said the German carrier had not increased security measures and did not plan to do so. Airplanes have long been a favored target for terrorists but less often do we see flight personnel ensnared in regional conflicts. Patrick Smith an airline pilot, author and blogger finds the event unsettling but not totally unanticipated. "For airline crew members who work international flights, incidents like this are something we keep in the backs of our minds." If commercial aviation becomes an involuntary player in regional conflicts, it will have ramifications beyond the airline's workers and passengers. It could start a domino effect through the complex economic and developmental system of which airlines are such a significant part.